How Can I Remove My Mugshot from the Internet? If you have been arrested and a mugshot has been taken of you, there is a chance that this mugshot will end up on the Internet. Sheriff’s Offices across the USA post mug shots on websites. Some offices only post mug shots of those arrested within the past three days. After three days, the Sheriff’s staff might remove the mug shot and newly arrested individuals’ mugshots are published. However, during this time, many other websites might pick up this information which means that your mug shot could end up in 100s of sites indefinitely. If you live in any part of the U.S., your mugshot may or may not be published by law enforcement. Not many U.S. police departments publish mugshots on the Internet. Those that publish mugshots on the Web generally remove the photo after a few days. However, mugshots are public information and if another party obtains the photo, your mugshot may be published on another website, such as one owned by your EX who just happens to be a webmaster. If your mugshot is published on an Internet site, the first course of action is to notify the webmaster of the site and request that the photo be removed. If attempts to resolve the matter offline are unsuccessful, another course of action is required. Some sites may remove the mugshot from their domain if you pay them to do so. 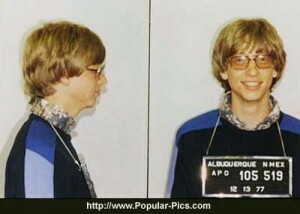 However, the mugshot may appear on another domain just as soon as the photo is removed. Some unscrupulous individuals may commit something akin to blackmail to make you pay to remove your mugshot from each domain. If this is the case, the process of removing your photo is a never-ending and expensive one for you. Instead of allowing such criminals to take you to the cleaners, allow a reputation manager to perform aggressive reputation management on your behalf. At Optimum7, we perform proactive and reactive reputation management to ensuring that your mugshot is not found on Page 1 of Google’s search results when your name is searched. If you do not receive cooperation when you request that your mugshot be removed from a non-law enforcement site, aggressive reputation management is necessary. Aggressive reputation management means performing aggressive search engine optimization techniques to move the site that contains your mugshot off of the first page of Google search results. SEO techniques to get your name listed above the mugshot page are published and the mugshot page is eventually pushed off the first page of Google search results. Optimum7 will work with you to develop a strategy of publishing new, positive material about you that pushes the mugshot, along with any other negative information, further and further down in Google’s results. The more positive content that is posted about your name, the further the mugshot page and any other negative information is pushed down in page rank. Eventually, the negative information is buried several pages deep in Google’s results. The more the negative page is buried deep in search results, the lower the chance that the site will be found and seen by searchers. * Researching the extent of negative material that appears when your name is searched. * Identifying the most recent negative content that appears in search results. * Creating profiles using your name and information on local directories and sites. 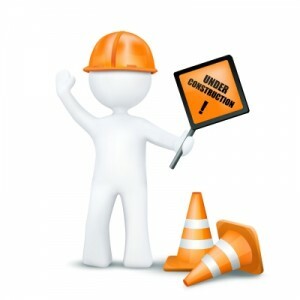 We will update any existing profiles to ensure that new, positive information is included. * Creating new content about you by enlisting the assistance of professional copywriters. We will publish positive press releases, articles and blog posts about your accomplishments and positive attributes. * Creating social media profiles that reflect positive information about you and your business. Social media sites, such as LinkedIn, Facebook and Twitter will be employed that show you in a positive light. * Creating Podcasts that showcase your positive attributes. * Creating and submitting videos through distribution sites such as TubeMogul. * Syndicating all positive content that we generate about you throughout the Internet. * Creating an ongoing maintenance plan that will transition you from reputation management to reputation maintenance. Once aggressive reputation management techniques have successfully replaced negative information with positive content in Google search results, we will establish a plan that will transition your strategy to reputation maintenance. Reputation management is incorporating the process of publishing positive elements on a regular basis. Where reputation management is basically a crisis management strategy, reputation maintenance simply perform regular actions that keep positive content about you listed on Page 1 of Google’s search results. Reputation Maintenance includes activities such as regularly posting blog entries and articles about your accomplishments and accolades, regularly updating social media sites with positive content and syndicating your positive content. Alerts are available that will immediately advise you of any negative information about you when it is posted. Optimum7 will supply you with and train you on these tools. Reputation maintenance requires that you develop a routine of generating positive content that will be found when Internet users search your name. Writing one article per week about your personal accomplishments or positive content about your business is one theme of reputation management. Your reputation is important and we at Optimum7 are committed to helping you preserve your good name. The sooner the issue is addressed, the sooner your good name will be restored. If you have discovered your mugshot posted online or any other negative information associated with your name or the name of your business, contact Optimum7 today. Our professional reputation management team will show you how to marginalize the negative information and develop a positive online presence that will show you in the best possible light.